This European style working muzzle is made with soft black latigo leather and a stainless steel reinforced nose piece. 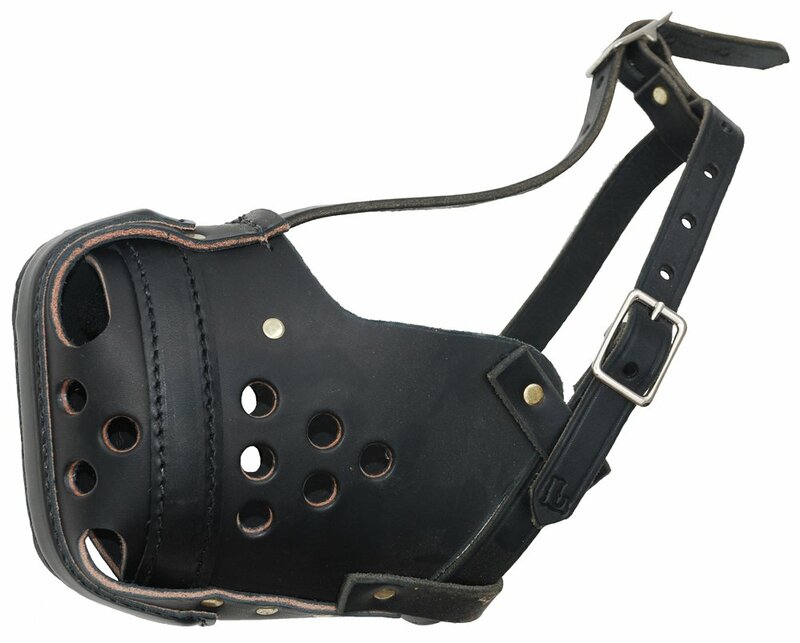 Hand made in the USA by old world Amish craftsmen, a lot of care and high-quality standards have been put into this muzzle for long-lasting use by hard working dogs. Padded on the inside for all-day comfort. Medium size fits all narrow type muzzles.